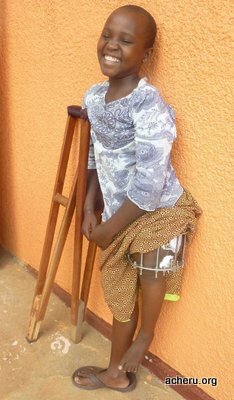 Acheru: Afaayo (Luganda for He cares) Child Health Education and Rehabilitation Unit. Based at Kabembe in Uganda, funded by Africare. Locating, assessing and treating children with severe disabilities, and giving them and their families hope for the future. The more help we get, the more children we can treat. We go to great lengths to find those children in greatest need. The website is intended to give you some idea of the work undertaken. 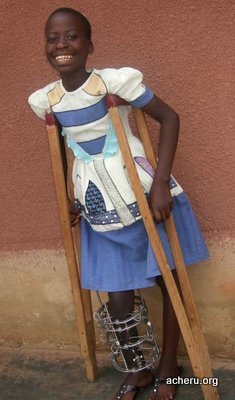 We guarantee that every gift received is used totally for the work in Uganda, with no deductions whatsoever.